Fruit may have a starring place in your daily diet because it is a healthy way to get many of the key vitamins and minerals you need for good health. One mineral present in fruit is potassium. 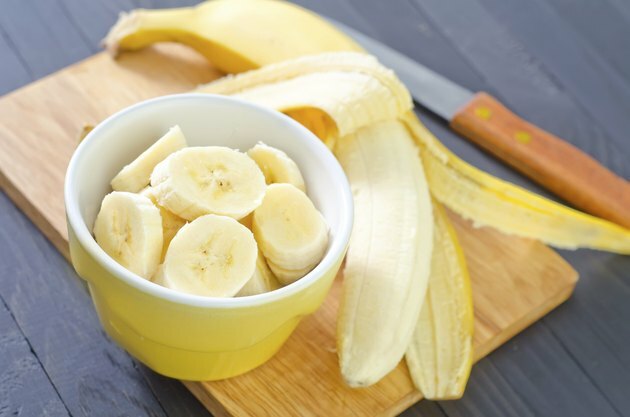 Potassium is an essential nutrient because it plays a role in muscle and heart function, as well as helping to maintain a healthy balance of fluids in your body. Bananas are one of the most popular fruit sources of potassium, with 422 mg per serving, but are not your best or only choice. 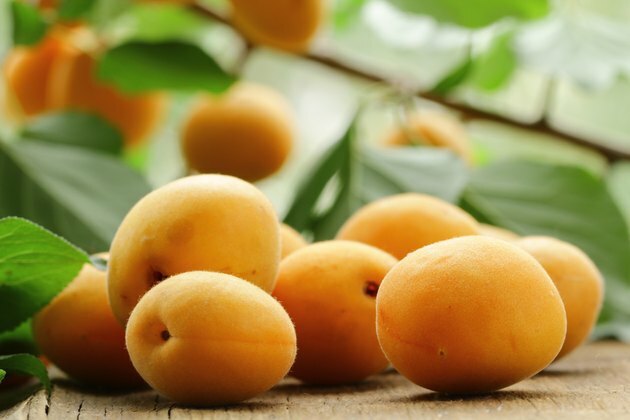 While not one of the most popular fruit varieties, apricots deserve a second look. Both dried and raw apricots supply more potassium per serving than one medium banana. A 1 cup serving of raw apricots supplies you with 427 mg of potassium and a 1/2-cup serving of dried apricots contains 514 mg. Raw apricots can be eaten plain or added to a fruit salad. Dried apricots can also be eaten plain, added to muffin and bread recipes or chopped into a bowl of oatmeal or carton of yogurt. 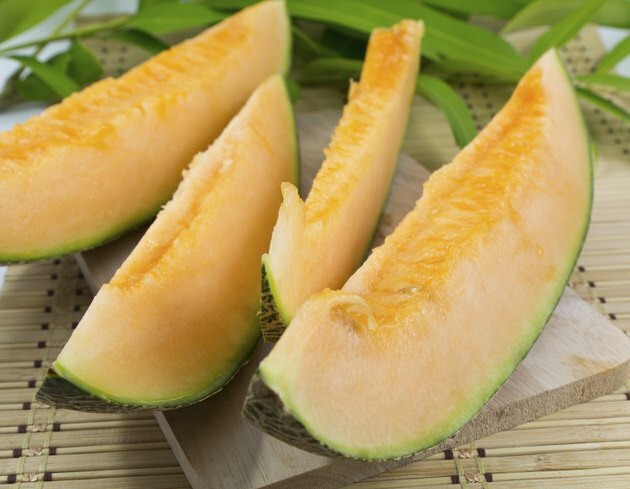 A serving of cantaloupe supplies key nutrients like vitamin C and vitamin A, but is also a healthy source of potassium. A 1 cup serving of fresh cantaloupe cubes provides 473 mg of potassium. Chilled cantaloupe cubes topped with cinnamon makes a nutritious dessert, and chopped cantaloupe combined with cottage cheese is a healthy snack. Cantaloupe cubes can also be added to a fruit salad or dipped in yogurt to help you add this potassium-rich fruit to your diet. A kiwi may be unsightly on the outside with a fuzzy brown peel, but the vibrant green fruit inside contains a healthy dose of potassium. 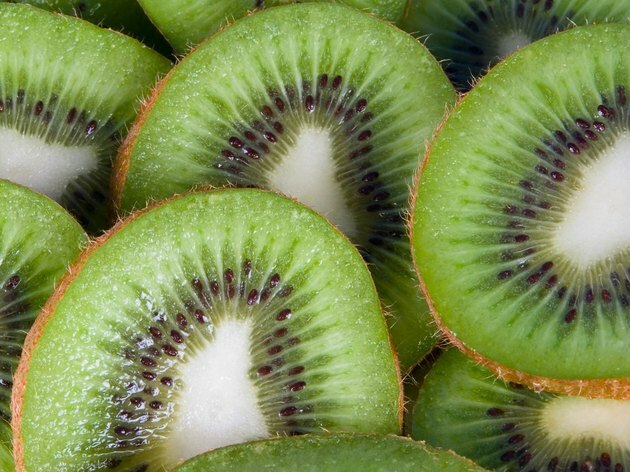 A 1 cup serving of fresh kiwi slices supplies you with 562 mg of potassium. Kiwi makes a healthy addition to a tropical fruit salad and can also be served plain. A bagel with reduced-fat cream cheese can be topped with kiwi, or slice a kiwi over a bowl of your favorite breakfast cereal. Another tropical fruit rich in potassium is a mango. A medium-sized ripe mango without the peel provides you with 564 mg of potassium, as well as a good amount of vitamin C and vitamin A. Peel and slice a mango and top with a sprinkle of cinnamon, or slice one into your favorite fruit salad recipe. 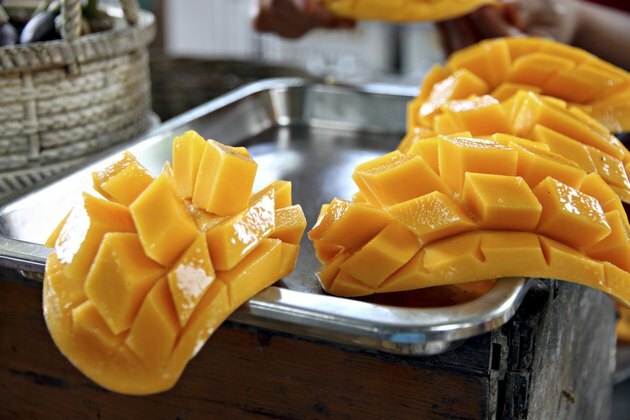 Fresh mango chunks also make a healthy addition to your bowl of oatmeal or carton of yogurt.